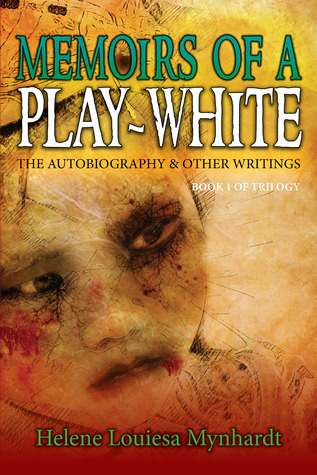 Memoirs of a play-white is an autobiography of the author. This is author's debut book, and it's the first book in a trilogy. The plot of the story based on South Africa. In the starting chapter, the author describes the early days of her grandmother, Elena, and her mother, Doris. Elena was 13 years old when she had Doris. Elena's husband Aurthur died in an accident. Soon she married to another widower, Vusi who had three children. He was a terrible person and discriminates between his and Elena's daughter. One day Elena became seriously ill, and Doris lost her only blood relative. Her living conditions with her stepfather deteriorated, and she decided to walk away from that life. She had no reason to continue living. But she didn't give up. She started working as a domestic worker and childminder. She moved to Durban. Doris was a quick learner. She spoke Xhosa, English, and learned Zulu as well. She was 16 when she moved to Johannesburg where she learned the Sotho language. Doris has an entrepreneurial skill. She married a Muslim person. But destiny had another plan for Doris. She made a mistake and regrets it for a lifetime. Doris had three daughters. Louiesa is the youngest daughter. Doris loves her a lot but beat her to death shake my heart. Doris wants her daughter to become self-reliant and brawny. There are so many childhood incidents of the author in this book which makes me laugh, and sad. This book gives an insight into South Africa's politics. The author told discrimination between white and black people briefly. The struggle for basic things, surviving each day is a part of their life. Doris became alcoholic. But she was a caring mother and always there for the author. Louiesa's journey is commendable. She completes her high school and starts working in a bank. She learns many valuable lessons from her mother which help her throughout her life. She is intelligent and knows what she wants from her life. Her experiences make her humble, and down to earth person. Helene's journey and experiences were compelling and inspiring. The writing is flawless, and narration is perfect. The author's childhood memory leaves a long-lasting impact. It's a fascinating tale of privation over misery. This book is a good read for who wants to know about South Africa's history and interested in autobiography. It's a short read. But I feel to wanting to read more about the author's life. Like how she met her husband and other stuff. But overall, it's a recommendable read. I enjoyed reading it. The second book in the series is From Destitute to Plentitude. Louiesa Mynhardt is a self-made entrepreneur, founding member and Managing Director of Sterling Debt Recoveries that is a leading collection agency, founded in 1998. She has a 40% shareholding in this business. Sterling Debt Recoveries provides efficient, large-scale services on a commission basis to large credit-granting institutions. She is a novice author who was born in Kliptown, Johannesburg on 30 December 1957 and is married to Harold. They have two daughters: Maxine, currently aged twenty-one is studying her fourth year Medicine in Europe and Hayley, currently aged eighteen is studying Accounting in the United States. Karva Chauth - Affliction or Gleeful?